Arab MK who smuggled cell phones to terrorists questioned over fraud and money-laundering investigation. 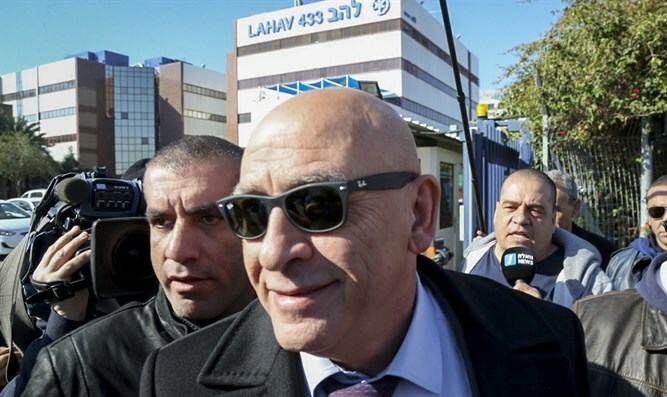 Disgraced MK Basel Ghattas (Joint Arab List) was questioned Monday by police for several offenses, including forgery, obtaining false registration, fraud, and money laundering. Ghattas is currently under indictment for smuggling mobile phones to terrorists in Israeli prisons. The interrogation took place as part of investigation into suspected fraud, largely against the state comptroller, in connection with funds received by the Balad party and the financing of its operations. The interrogation was carried out with the approval of the Attorney General. As the interrogation against Ghattas was being carried out, efforts to expel him from the Knesset advanced. Coalition Chairman David Bitan said that a number of opposition MKs would join with the coalition to vote to expel him for his actions which aided terrorists from the Hamas terrorist organization. The Knesset banned Ghattas from entering the Knesset for six months earlier this month.